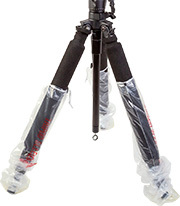 The OP/TECH USA Tripod Sleeves are a convenient way to protect a tripod's legs from the elements when shooting in rough outdoor conditions. 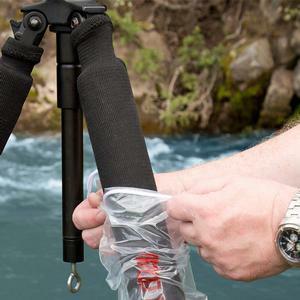 Keeping debris from getting clogged in the internal mechanisms of your tripod prolongs the life of your tripod and ensures that it continues to operate smoothly. 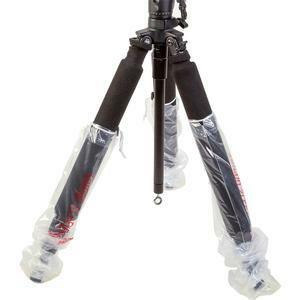 Tripod Sleeves are ideal for shooting at the beach, on river banks, in the snow, in a muddy swamp or even in desert conditions where blowing sand and grit can damage the delicate mechanisms on a tripod. 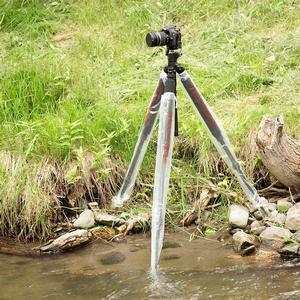 Why risk losing a great shot because you don't want to get your tripod in the middle of the action? 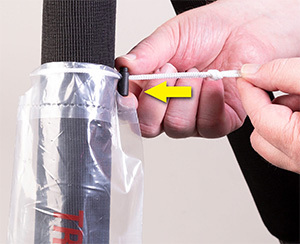 Tripod Sleeves are compact and easy to store in a pocket or camera bag so there's no reason to leave them behind. 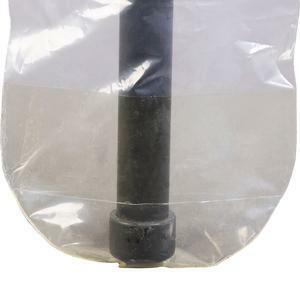 These Tripod Sleeves are made of durable clear plastic and are easy to apply. 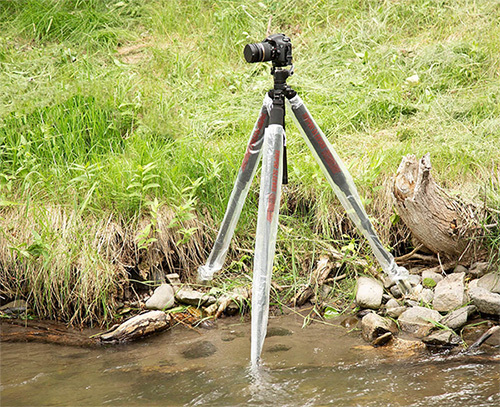 Their generous size covers up to 46 inches (117cm) of the leg's length and up to 2.75 inches (7cm) in diameter. 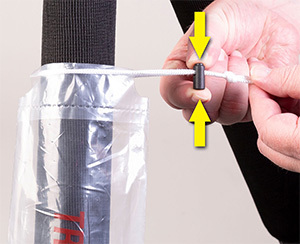 Simply pull them over the leg and tighten them with the built-in drawstring and barrel lock. 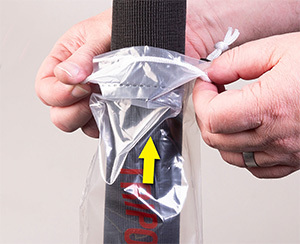 The reinforced bottoms offer added protection when shooting among rocks and sand. 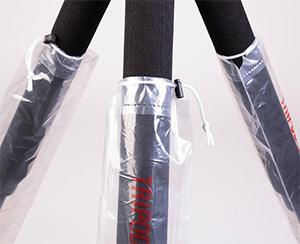 Be sure to add them to your "must-have" gear when preparing for your next outdoor photo shoot. 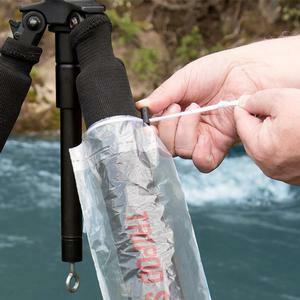 Take them on your next adventure so you never miss a perfect shot!